you have learnt to lock your check-in luggage when traveling into China, the mighty but still somewhat dangerous nation . and better refrain from using your prized credit card at every store, ofcourse many still don’t accept Visa or MasterCard, let alone American Express . but quite many accept Chinese’s-own UnionPay Credit Cards and they are safer, requiring you to punch-in your password PIN . 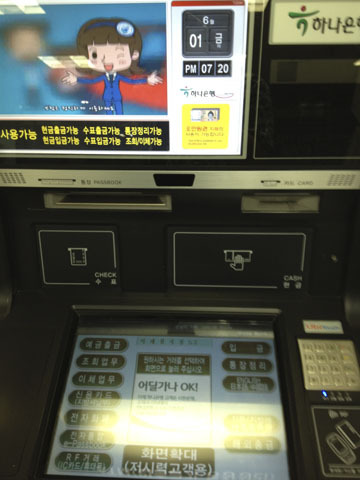 then ofcourse if you have business or bank account abroad on the mainland, you need to know where the ATM teller machines are in South Korea . 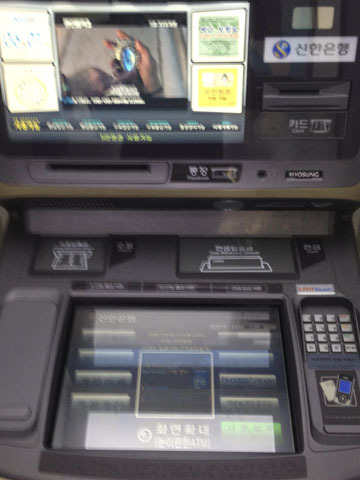 rightfully their Official site lists an array of banks and branches all over the World . but some not all translated into real English nor updated so here’s some . actually their site lists almost half of current South Korean banks although in mixed Chinese characters, including HanMi now acquired by CitiBank, KEB Korea Foreign Exchange, SC Jeil, WooRi, ShinHan, Hana, DaeGu and Busan, but your foreign-issued UnionPay cards will work in only Citi AND ShinHan Banks BUT in selective branches in vital locations, then further actually a single teller machine among a dozen – the one that has a “Global Banking” sticker . still only list ShinHan Bank branches by address . 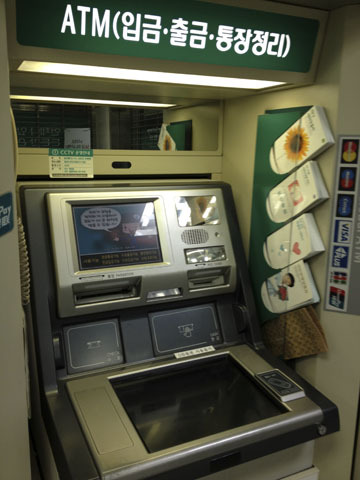 and rightfully, so for in June 2012 : only this one bank among some of the above accepts HSBC Hong Kong and Chinese UnionPay Cash Cards offering service including balance check, deposit and withdrawal . 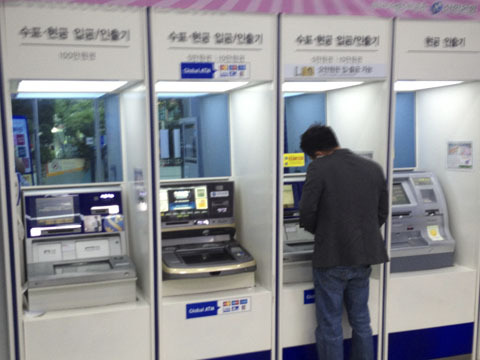 ( Valentines 2014 Update ) Korean bank IS going Global, or could be the increase of Chinese tourists as Japanese Yen go down, as UnionPay balance check and cash withdrawal is fluid at ShinHan, Hana AND Korea Exchange Bank branches in MyeongDong AND iTaewon – both major tourist shopping districts . ( November 2014 Supplement ) as shown on this Post : which banks have UnionPay access and its cash withdrawal limits change over time, but this is as of today . 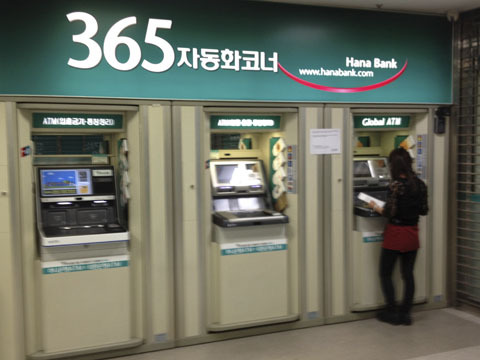 then after that, of the bank and/or branches mentioned above : your daily and one-time maximum withdrawal limit is set from your issuing bank overseas, including China – of which KEB Korea Exchange Bank seem to have daily W600,000 and HanaBank W1,000,000 one-time limits .